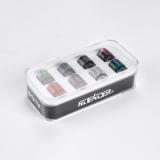 Aleader Drip Tip contains 510 and 810 type, or you can also choose all 810 type. 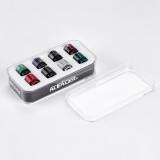 It will give you excellent tactile impression. 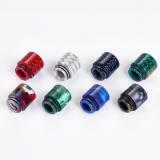 Here comes Aleader 510 and 810 Drip Tip. 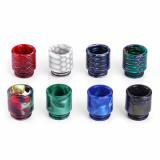 Type A contains all 810 drip tips while type B includes 510 and 810 drip tips. You can choose them at will. Type A is 8pcs per pack and type B is 10pcs per pack. Just take them to offer excellent tactile impression. Here are several colors. • Quick link: COMBO SRDA Tank, Ohmega V2 RTA. 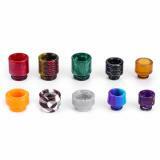 Aleader 510 and 810 Drip is created vapers with diverse mod collections, giving them the ability to choose from a myriad of drip tips made from Delrin, acrylic, epoxy, and resinous materials. original aleader drip tip 4pcs kit 510 810 thread cobra resin pei mouthpiece with acrylic box for tfv8 baby tfv12 prince atomizers. Tipos de gotejamento de boa qualidade, embalada em um triplo pupyrku. They are very nice. The package took longer to arrive, but it was worth it. Very happy! !